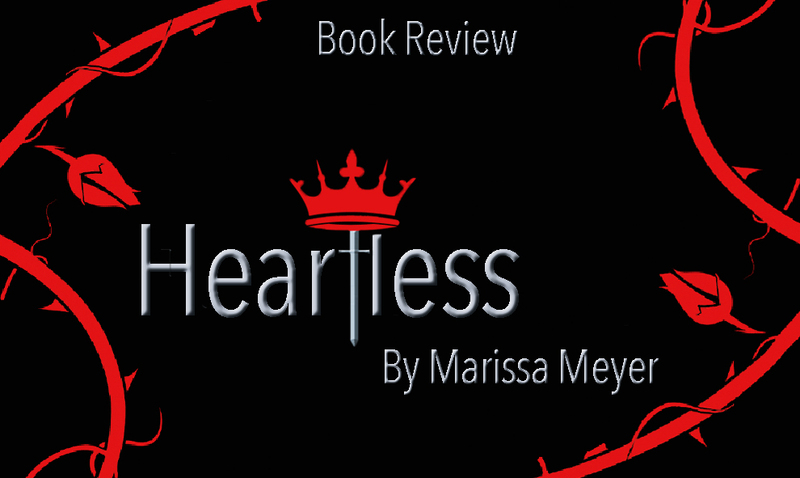 Marissa Meyer’s latest novel, Heartless, is a prequel to Lewis Carroll’s Alice’s Adventures in Wonderland story. The book landed on bookshelves nationwide a little less than a month ago. Heartless tells the story of Catherine, aka the Red Queen, before she became the Red Queen we know her to be in Alice’s Adventures in Wonderland. Catherine was content and she loved to bake. Catherine has captured the King of Hearts’ attention and everything was going great for her until she had to make a choice. Along the way, we have been introduced to the Mad Hatter, Lord and Lady Pinkerton (her parents) and the King of Hearts and the Jester (both are love interests). Since the storyline is complicated, the novel takes some time to read, to absorb everything. Although, the reader will get caught up in the story. Heartless&lt;em&gt;Heartless&lt;/em&gt; contains elements of hilarity, action, romance and scientific fiction, which are all packed into one very interesting story. contains elements of hilarity, action, romance and scientific fiction, which are all packed into one very interesting story. Heartless contains elements of hilarity, action, romance and scientific fiction, which are all packed into one very interesting story. Heartless are also very descriptive to help the reader picture scenes easily. The book will have your attention until the very end of the book with the twists and turns and does not have a predictable ending. Meyer has done a great job of taking into account what she thinks Lewis Carroll write in this situation. Even though the reader knows the ending of the story, Meyer leads readers into the wrong direction to make sure that they are surprised about when the ending will come. Marissa Meyer’s other works include A Tyranny of Petticoats and The Lunar Chronicles (Cinder, Scarlet, Cress, Winter and two companion novels). She also has her first ever comic book coming out in January 2017.